Congratulations! You have just invented a fabric that never gets damaged or created a perpetually-frozen ice cube. You know that your idea will be profitable, but, without a patent, you’ll probably have a hard time attracting venture capital to your business. You probably shouldn’t invest your own money, either, because anyone can come along and usurp the rights to your product. First, it forces you to conduct the research necessary to make sure that no one else already owns the rights to the same product. Then it helps ensure that you have sole rights to develop and sell the product for 20 years. As you might expect, obtaining a patent is not a simple process, but it’s a virtual necessity for businesses that want to sell unique goods and services. We talked with Tony Klemptner, a registered patent attorney at Traverse Legal to get some help to explain more about the types of patents, how to apply for them and where to go for help. Apply for a utility patent, which essentially protects the functionality of an item. It might be a new process, a new machine or even an improvement on an existing item’s functionality, to name just a few examples. Apply for a design patent, which basically applies to how an item looks. If you were to put a stylized version of your image on certain items, for example, a design patent would prevent others from using it. Of course, if that image is actually your company logo, then you have to look into trademark protection, as well. Mr. Klemptner explains that it is common to apply for both types of patent for the same item. “Often times design patents are useful to supplement protection sought by a utility patent in order to increase a business’ patent portfolio. “ As a general rule, an item that has both unique uses and a unique design might create the need for both types of patent. He cites the example of a shoe that has a unique outward appearance plus a novel functional component, which might be best covered by both types of patent. If you want to file for both types of patent, however, each requires a separate application. And, since a design patent application can claim priority to a filed utility patent application or vice versa, the strategies for filing patents can depend on a variety of factors. They establish a place in line for your product’s eventual non-provisional patent application, unless you make any significant modifications that would affect the non-provisional filing. This is very important due to the first-to-file patent system in the U.S. They provide a good foundation for the non-provisional patent application when you are ready to take this step. They do not require a finalized invention, so they buy you 12 months to search for similar products that exist, gauge potential commercial interest for the product and do any testing or other activities that will allow you to move forward with the non-provisional application. Of course, complexity can have an effect on legal and filing fees for any given invention, but application fees are lower for provisional applications than for non-provisional applications, particularly when you factor in the additional types of fees required for non-provisional applications. They are, however, generally less financially-risky while you decide whether you want to go ahead with a non-provisional application. According to Mr. Klemptner, “I estimate that about 75-80 percent of my clients apply for a provisional patent application prior to filing a non-provisional patent application.” Additionally, “Several provisional patent applications may be filed around the same invention within 1 year of the filing date of the originally filed provisional patent application.” A subsequently-filed non-provisional application filed within 1 year of the originally filed provisional patent application may claim priority to each of the previously-filed provisional patent applications. True protection requires an actual non-provisional patent, and the process of taking a provisional patent to approval of a patent is necessarily complex. I cannot overemphasize the importance of carefully reviewing the Patent process overview provided by the United States Patent and Trademark Office (USPTO). This will give you a good idea of all steps, the complexity of each one — and the reasons why even the USPTO recommends that you retain a patent attorney or agent who is well-versed in patent laws and procedures. Even before you begin the application process, you must take a number of preparatory steps, such as ensuring that your item is patentable, that it is a unique item that does not already exist and is not currently patented, and whether or not you need to look into international patent protection. And, that time is certainly significant. Once you sign and file the application, you will have no opportunity to change it. Attention to detail, careful writing, repeated reviews and edits are vital to make sure that you get it right the first time. Once submitted, the USPTO will determine any deficiencies and assign an examiner who will work with you. This can be a complex back-and-forth process, possibly requiring you to file appeals. And, missing a response deadline can result on abandonment of the application by the USPTO. Your work is not complete with receipt of a patent approval. 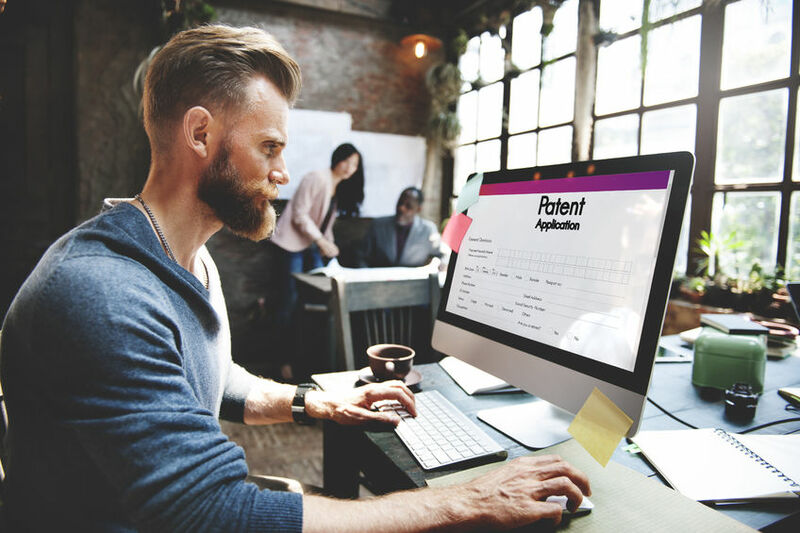 For one thing, you have to maintain the patent rights by paying periodic fees during the patent period, which are services that patent attorneys typically provide. They can also help if you need to correct certain unintentional errors in the original patent. Also, keep in mind that patent protection is only effective when you remain watchful. It all begins by making sure that your employees sign non-disclosure agreements to help keep your trade secrets secure. Perhaps the most critical requirement involves guarding for illegal uses of your patented product by other parties — and taking legal action against them when appropriate. This process is necessary, but it’s not easy, particularly if you need to protect an international patent. A patent has little value if you cannot afford the significant funds and time required to protect your patent. In other words, make sure that you have a pretty significant war chest or deep pocketed investors to enforce your patent every time anyone encroaches on your patent rights. When the products or services that you sell are unique, they hold great value for your company. Just as you protect other assets by purchasing insurance coverage, patents help ensure that proprietary goods and services remain yours to use exclusively for 20 years. Clearly, obtaining a patent is an intricate process that requires help from an attorney who knows the ins and outs of the law while understanding the principles behind the proprietary item. Retaining an attorney is not so much of an expense as it is a vital investment. I cannot end this two-part IP series without expressing heartfelt thanks to the Traverse Legal attorneys who took significant time to check my facts — and interject helpful advice and information throughout the articles. Thanks to their help, you now have realistic overview information that can help you prepare for the protection of your valuable intellectual property.